Bloom, Brian Eno's first iPhone App, is still one of the best and most inventive apps in the store, so I'm pretty excited about Air, the followup. 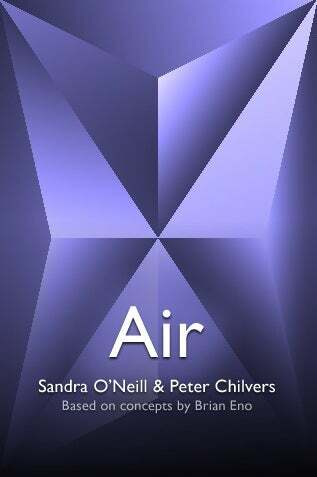 Developed by Sandra O'Neill and Peter Chilvers (who co-developed Bloom), Air assembles vocal and piano samples into a constantly changing and evolving composition that you control. Air features four "Conduct" modes, which let the user control the composition by tapping different areas on the display, and three "Listen" modes, which provide a choice of arrangement. For those fortunate enough to have access to multiple iPhones and speakers, an option has been provided to spread the composition over several players. Recommended for headphones and external speakers.